I love making things, whether it be clothing, furniture, cookies or greeting cards. I hope to encourage a similar bent in my children, whatever they may like to make, because creativity & the problem solving that you learn along the way are important skills to nurture. A great way to get some ideas of the world of things you can make is next week's Mini Maker Faire. June 7 & 8 over 165 DIY enthusiasts from across the city take over the PNE Forum to share what they make for the 4th annual Vancouver Mini Maker Faire (VMMF). The event brings passion projects forward, whatever the skill level or experience may be. There will be seasoned makers from previous years that have exhibited around the world, first-time makers, hobbyists, & educators. Attending is an opportunity to engage with Vancouver's makers, & inspire your own creative spirit. 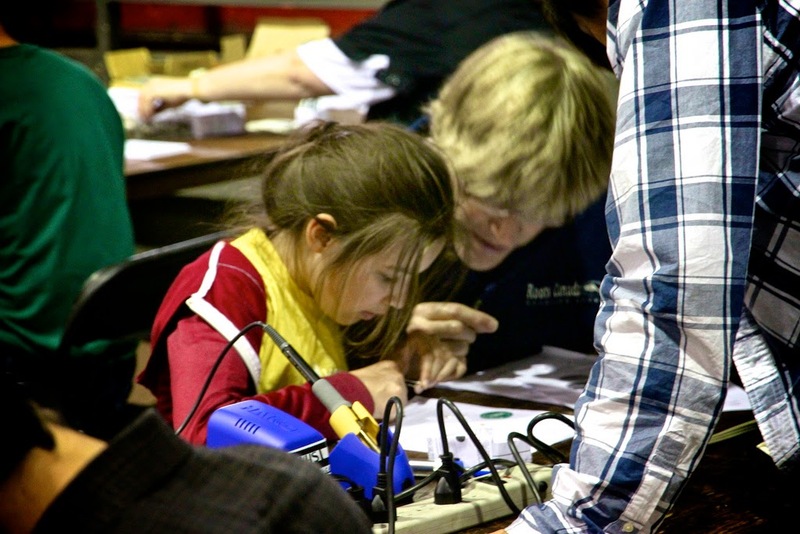 Maker Faire is great for families! Right in the centre of the PNE Forum is the Children's Zone, including some great workshops with activities for all ages, from Growing with LEGO to Crochet for Kids, puppet making, & making a paper bag hat. Spaces are limited, so attendees must register in advance. Price: By donation to $35. At VMMF you can meet Kelsea (13 years old) & Natalie (11 years old) of Sublime Sisters Design Co. who will be at the Marketplace selling their impressive jewelry. And, Jessi & Joshua Langager present Robo Lego. They are participants of Gearbots, a robotic engineering program for kids, & have competed three times in the BC Skills Canada Competition. They won a Gold Medal in the Junior Gearbots Engineering category. Foodies of all ages shouldn't miss the Strathcona 1890 Urban Seed Collections and Truck Farm. Living Lotus Food & Nutrition, Make Cheese, & Chickadee Family Bakery will be at the Marketplace, plus attendees can indulge in a wide range of food carts & trucks outside of the PNE Forum. There will even be a Guinness World Record attempt at Vancouver Mini Maker Faire, for the most people crocheting simultaneously (June 7, 1:00pm). If you're interested in participating, register for the Guinness World Record here. Sharing & Co-ps & Hacking, Oh My! Make It Happen is a showcase of ways people are sharing knowledge & resources. It is a partnership between Vancity Credit Union & Share Vancouver, including the car sharing organization I've been a member of for 11 years Modo The Car Co-op. Share Vancouver is led by sharing organizations collaborating to build & sustain sharing locally, in concert with the global collaborative economy movement. Its founding members include Modo The Car Co-op, Vancouver Tool Library, Share Shed, Vancouver Hack Space, Trade School Vancouver, The HiVE, Vancouver Community Laboratory (CoLab), Terminal City Glass Co-op, PogoRide, & Part-Time Pooch. The group is collaborating with Vancouver Shareable, The Sharing Project & others to establish a centralized online hub of resources to facilitate sharing among individuals, co-ops & other organizations. Check out their interactive map of sharing resources across the city! 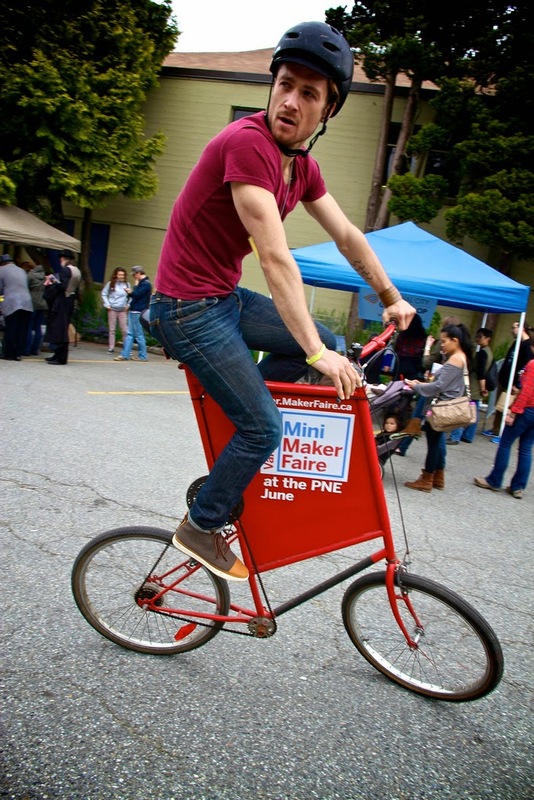 Follow Mini Maker Faire on Facebook, Twitter @makerfaire_van, hashtag #VMMF, or YouTube. Thanks for mentioning my kids Jessi and Joshua! They had fun at the show.